When it comes to taking a road trip, most dog owners don't want to leave their pets behind – especially if it's for the holidays. Fortunately, bringing the pet along for the ride can be safe and easy when it's planned ahead. You'd think it would be as simple as securing yourself into the car with a seat belt, but it's a bit more complicated than that. Here are a few tips for keeping your dog safe and happy on your road trip to visit the family at grandma's house for Christmas. Is your car the right size? According to Consumer Reports, the first step to ensuring safe travels is to choose the right car, SUV or minivan. Make certain that your vehicle of choice is reliable for the safety of you and your dog. For smaller pets, a hatchback or station wagon is the perfect-sized car. The extra space in the back gives room for your dog's food and toys as well as his carrier. An SUV is great for larger pets, providing ample room for him without cramping your space. A minivan is ideal for any road trip, but it's especially perfect for a long journey with any dog. 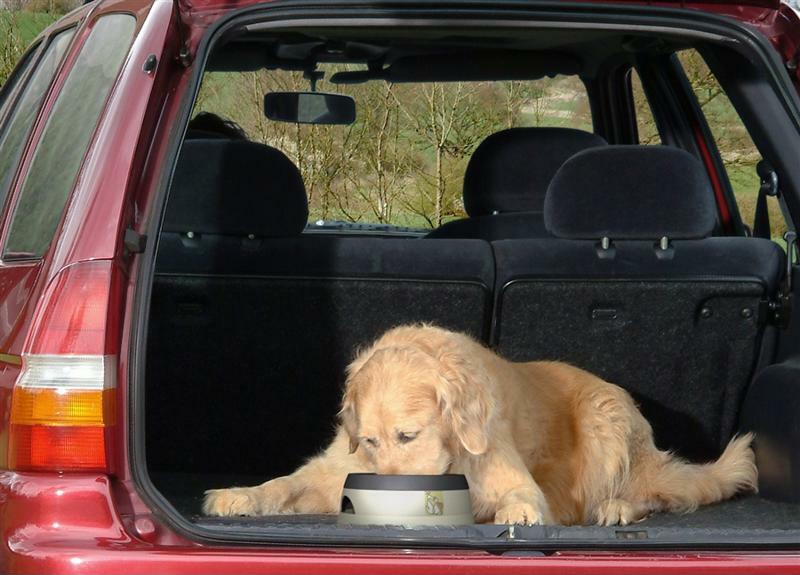 This vehicle supplies the most space and its low body also makes it easier for your dog to enter and leave. An SUV is great for traveling with large dogs. Once you and your little guy hit the road, make sure you are stopping regularly for water and food breaks, restroom breaks, and exercise. The Truckers Reports said most rest areas have spaces specifically noted as the pet area, so you won't have to worry about finding a place to take him to relieve himself. Always make sure to walk him on a leash and pick up after your dog. "Always keep water in easy reach." Did you pack all of his things? When it comes to packing, it's just as important to remember to bring all of your dog's belongings as it is to bring yours. The Humane Society of the United States said to bring your pet's carrier, food and water dishes, food, bedding, leash, collar, tags, necessary grooming supplies and any medications he may take. Also, make sure to keep a pet friendly first-aid kit and water handy at all times for safety. Don't forget to bring him a few of his favorite toys to keep him occupied throughout the duration of the trip. Are you taking all of the necessary pet safety precautions? 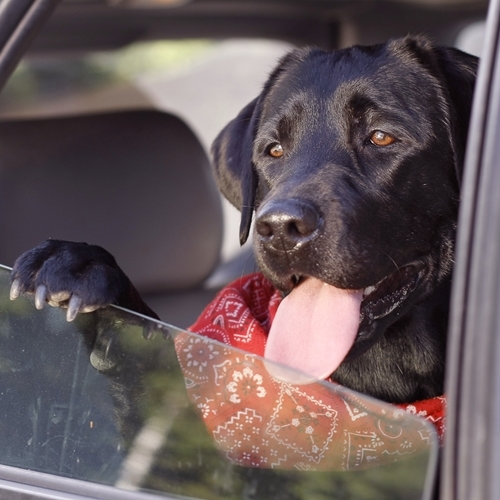 While you're on the road, it's crucial to practice pet safety precautions at all times. Consumer Reports suggested never letting your pet ride with his head out the window. Neglecting to do so can result in eye, ear and head injuries for him. Also, make sure to never leave your pet in the car unattended without at least leaving the windows cracked. If you have a sunroof, keep it open. It is critical to never leave him in the car alone on extremely hot or cold days, because your dog can become dehydrated or even freeze to death. Last but not least, never open the door without putting your dog on a leash first. Unfamiliar places may incline him to take off, so always have the leash ready to prevent the chance of losing him during your road trip. With the season of winter quickly approaching, it's time to prepare for the change in weather that everyone's been waiting for – snow. Whether you love or hate the cold stuff that falls from the sky and immediately accumulates on the ground, your car has never been a fan. In order to make sure your car functions properly throughout the harsh, frigid months of winter, it's important to give it some TLC before the snow rolls in. 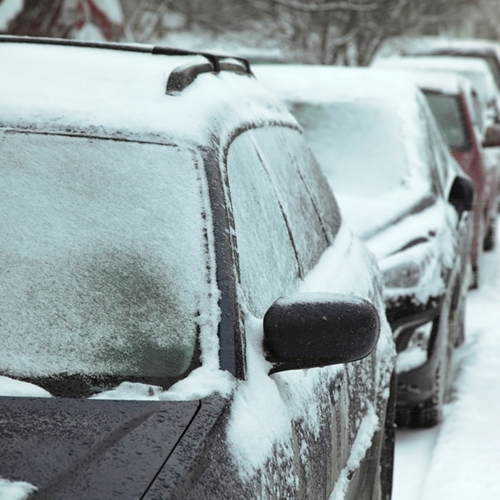 Here are a few simple ways to prepare your car for winter and ensure a safe and easy commute for you and your passengers. For starters, you should always have an emergency kit in your car. If you don't already, make sure to get one before the first big winter blizzard. Unfortunately, you never know what could happen during a snow storm, so it's important to take immediate safety precautions before winter arrives. 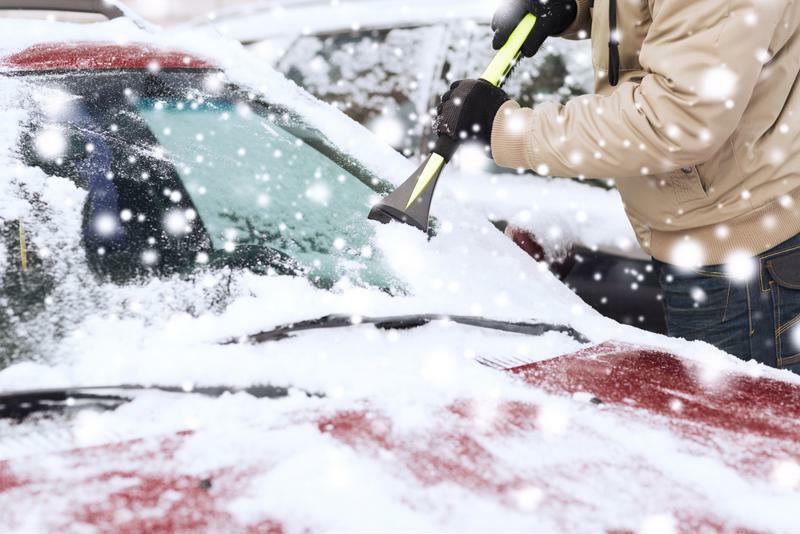 Make sure to put a snow brush and ice scraper in your car before the first snow. According to Autoblog, the cold weather can be extremely detrimental to your car's battery and electrical system. Simply test your battery by turning on the headlights before starting the engine. If you notice that the lights are brighter after starting the engine, Autoblog recommended taking your car to a mechanic for a thorough test. The Car Care Council suggested checking your heaters, defrosters and wipers to make sure they are in proper working condition for safe driving vision. Consider using cold weather washer fluid and replacing your windshield wipers to ensure maximum safety while driving through harsh blizzards. "Your car's cooling system should be checked year-round." Some might think you don't need to worry about your car's cooling system until the summer, but that's just not the case. Autoblog said if your car's coolant is not mixed properly, the chance of it freezing is higher, which can lead to severely damaging your engine or radiator. Though it's best to check your car's manual, it's typically recommended to have a 50/50 mixture of water and anti-freeze for year-round driving. The Car Care Council said the braking system is the most important safety item in your vehicle. It's extremely important to get your breaks inspected before the winter season. The National Institute of Automotive Service Excellence recommends getting your brakes checked periodically to prevent further damage and repairs that might come from neglect. By examining your brake system, you can reduce the chance of accidents from happening and ensure a secure drive for you and your passengers. ASE recommends checking your tires for remaining tread line, uneven wearing as well as cuts and nicks. Worn tires can be extremely dangerous in winter weather, so it's critical to keep them in tip-top shape. Be sure to check your tire pressure once a month and rotate as often as your car's manual recommends. Poorly aligned wheels make your engine work harder, which causes your car to use more gasoline than necessary. Consider taking your car to the mechanic for new tires or a rotation to make sure they are ready for the slippery roads. Owning a car can be an expensive affair. With regular maintenance, gas, parking and insurance – not to mention the actual car payment itself – it's important to make sure you're financially capable of car ownership before heading to the dealer. Fortunately, while there isn't much you can do about things like gas prices, there are steps you can take to lower your cost of ownership. Cars are complex and maintenance on them can be expensive if things get out of hand. On the flip side, taking a few preventive measures regularly can keep your car running smoother for longer. Here are a few simple maintenance task any driver should be able to do that can reduce your cost of ownership. "A dirty air filter can reduce your fuel efficiency by around 10%." 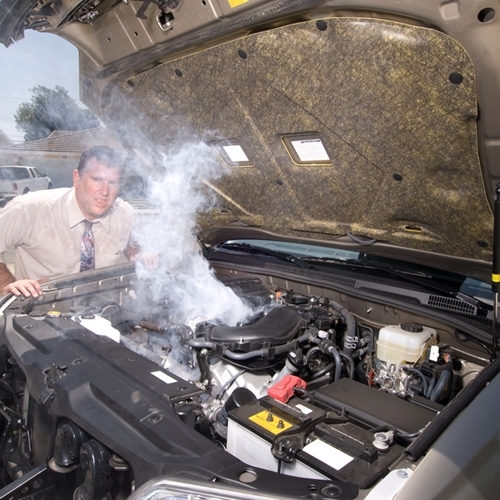 Plain old air is a critical component in the smooth operation of your car's engine. According to CarsDirect, every gallon of fuel your engine uses requires 10,000 gallons of clean air. That may seem like a lot, but remember that your car gets all the air it needs from outside – you just need to keep an eye on the air filter. Investopedia recommended changing your air filter every three months, though this may change depending on the area that you live in – parts of the country that are particularly dusty or pollen-infested may require more frequent maintenance. Air filters themselves are fairly inexpensive and are simple to replace – most of them don't require any special tools and can be swapped by hand by even novice motorists. For such a small component, the air filter can have a major impact on your car's gas mileage. A dirty filter can reduce your fuel efficiency by around 10 percent, costing you an extra 15 cents per gallon on gasoline – an amount that will certainly add up over time. You likely don't think too much about your tires unless there's a problem. They're an important part of your vehicle's overall function and safety, and replacing them can be an expensive ordeal. That's why it's important to keep them in good, working condition as long as possible by keeping them inflated. Tires tend to lose air at a rate of about one to two pounds per month, Investopedia noted. In addition to this, extreme temperature changes – such as the oncoming season – can cause even further loss of air pressure. Check your tire pressure regularly, as well as your owner's manual to determine what the recommended pressure is for your car so you can stay on top of the issue. Knowing when to change your oil is just important as knowing how to do so. Conventional wisdom holds that you should change your oil every 3,000 miles. However, it turns out conventional wisdom may be overcompensating. While it's important to change your oil regularly, every 3,000 miles is a bit excessive, especially with new advancements in synthetic motor oil technology. Check your car's owner's manual for manufacturer recommendations, but in general, you can likely get away with changing your oil every 5,000 miles. Not only will you be saving money on unnecessary oil changes, you'll also be going easy on the environment. 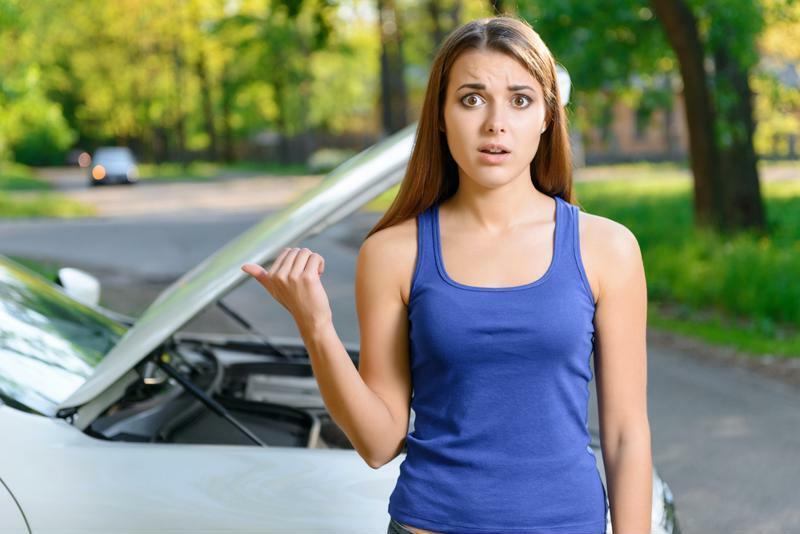 Wait a minute – we're supposed to be helping you save money on car maintenance, so why are we recommending you buy a diagnostic reader? Before you get too upset, keep in mind that the nebulous check engine light is the source of many headaches – and unnecessary maintenance expenses – for motorists everywhere. Fortunately, an OBD-II reader, a machine that retails for just under $100, can eliminate unnecessary trips to the mechanic's shop. The reader interfaces with your engine's on-board computer, providing you information on exactly what's wrong when the check engine light goes on for most cars manufactured later than 1996. While you should try and get all maintenance issues with your car addressed as soon as possible, some are more pressing than others, and these are exactly the sorts of things that an OBD-II reader is designed to help you determine. If you're in the market for a used car, head to NJ State Auto Auction. You'll find hundreds of Carfax-certified cars on the lot, and a helpful sales and finance team dedicated to putting you in the used car that's right for you. There are few words that evoke as much a rush of pure adrenaline and emotion as "Black Friday." Retailers love the injection of extra holiday revenue, while savvy shoppers spend Thanksgiving dinner making battle plans to ensure they hit every deal and sale on their list. But for some, Black Friday and the holiday shopping season that accompanies it is nothing but stress. While the financial implications of the biggest shopping day of the year should be obvious, there are also a number of other factors that can put people off to the season, not the least of which being the difficulty of navigating parking lots and shopping centers that are full to bursting. Not everybody is as enthusiastic about Black Friday as the doorbuster shoppers are, but when it comes to holiday shopping it's a necessary evil. 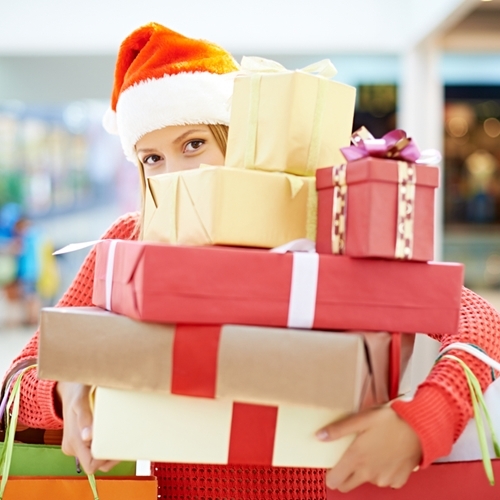 Keep these tips in mind to help make this year's Black Friday as tolerable as possible. When it comes to parking on Black Friday, patience is a virtue. Rule No. 1 of Black Friday is to have a plan. If you try and wing it, you're going to end up wasting a lot of valuable time. Fortunately, many stores will release information on upcoming sales well in advance, giving you time to take in all the offerings and put a plan together. 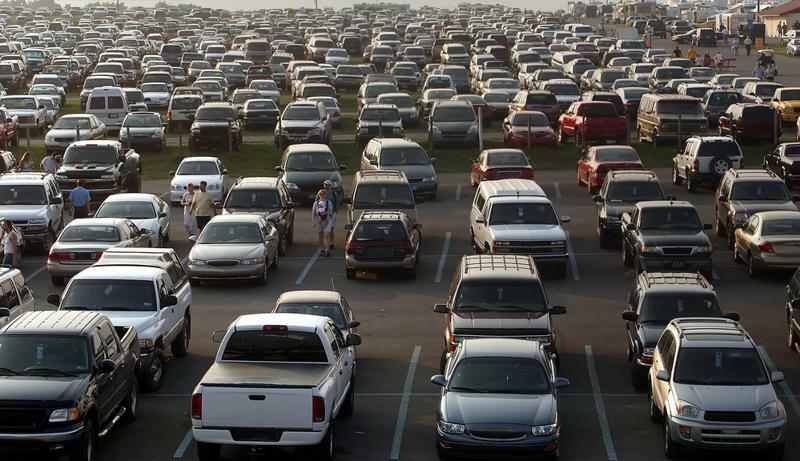 Knowing where you want to go will help when it's time to decide where to park as well as when to leave. If you're a really serious shopper, you may even want to head to the mall or shopping center ahead of time to do some scouting so you know which stores are near each other. That way when the big day comes, you can divide your group up based on who needs what. While many people are drawn to various retailers by the siren song of major discounts, if you're already a stress-prone shopper it may be more beneficial to you to stick to your well-known options. Familiarity may seem like a minor detail, but in the thick of the Black Friday rush, not having to think about where you're going or which department you need to check for a given item can be the difference between a stressful experience and a fruitful one. Remember that there will promotions, sales and advertisements bombarding you from all sides during Black Friday, but if you can cut down on the noise by sticking to the stores you're familiar with, it can make for a more pleasant experience. "Remember that safety is your main concern above convenience." Forget whatever football game is airing Thanksgiving day. Everyone knows the real main event during this season is the battle between you and other motorists for precious parking spots. According to Drop It And Drive, Black Friday is one of the biggest days of the year for auto accidents, so take extra care to be communicative with other drivers. Use your directional blinkers and signal lights if you want to call "dibs" on a parking spot, but also drive defensively – other drivers may not realize your intention and could still try and race you for a prime spot. When in doubt remember that safety is your main concern above convenience, and be prepared to sacrifice that prime spot for one a bit farther away from the door if it means avoiding a traffic collision. The habit of retailers slashing their prices on Black Friday has created a tradition – and indeed an ad hoc holiday – out of the beginning of the shopping season. But in recent years, e-commerce has adjusted itself so that Black Friday-like deals are available online as well as in-person. In fact, the Cyber Monday phenomenon is growing so much that it's almost rivaling Black Friday in terms of sales revenue retailers bring in. If you're finding the holiday shopping season too much to contend with, remember that you can still snag some pretty sweet deals from the comfort of your own home, without having to brave the mall parking lot. If you need a quality pre-owned car to get you through the holiday season, check out NJ Auto Auction. You'll find hundreds of Carfax-certified cars on the lot, so you're bound to drive away with a used vehicle that fits your needs perfectly. We get it: Life can be hard sometimes. Despite your best intentions, you may end up with a bit of debt here, some unpaid credit cards over there, and before you know it, your credit score has plummeted. While this isn't an ideal situation to be in, it's also not the economic death sentence you might think it is. A low credit score can affect you, but it doesn't have to limit your purchasing power, especially when it comes to buying a car. If you're currently sporting a sub-prime credit score – a score below 640 – here are six things you can do to help dig yourself out of that debt cycle. It may seem like a no-brainer, but paying down your credit card bills on time is perhaps the most effective way to revive your credit score. What's more, not paying your bills – or paying them late – can wreak absolute havoc on your credit score, perhaps faster than any other factor. Of course, paying your bills on time is often easier said than done. Fortunately, there are ways to ensure that you're paying on time. Many companies can send you email or text message alerts when a bill is due. If you still don't trust yourself to make timely payments, you may need to set up an automatic payment on a set date every month. Owing a lot of money to creditors also negatively impacts your credit score. The more outstanding debt you have, the larger the effect on your credit score. This is true for debt use as well – a term indicating how much of your available credit you're using. NerdWallet noted that you should try and keep this below 30 percent for the most optimal effect on your credit score. 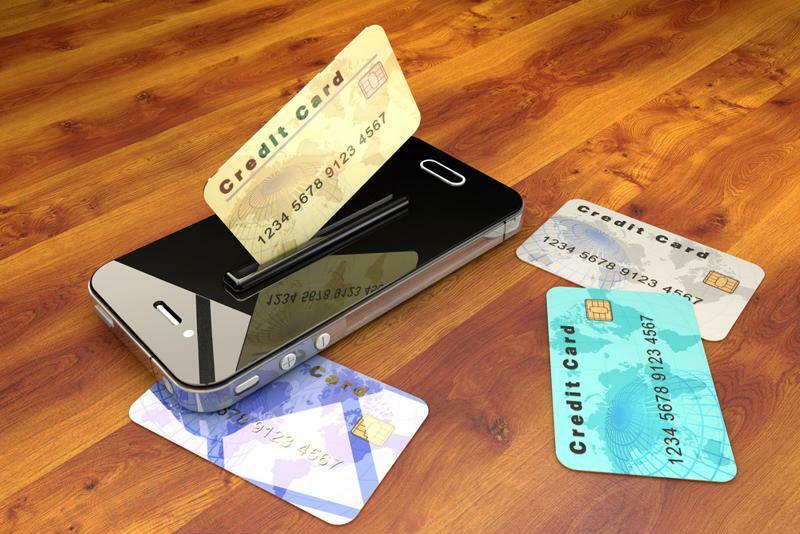 Having multiple credit cards open at once can drop your credit score. If you find yourself swimming in debt, you may be tempted to take out another credit card to help ease the burden in the short term. Resist this urge. For starters, the number of active credit accounts you have open impacts your credit score, so you aren't doing yourself any favors by taking on a new financial responsibility. More importantly, opening a new credit account to pay down an existing card will just put you on the fast track to a debt cycle. Instead of paying off debt that you owe, you're just shuffling it from one account to another, and maybe accumulating more along the way. Whether you're short on cash for the month or are worried about your credit usage rate, raising your credit limit is an option many people consider. It may help by giving you immediate access to additional funds, but it's also not great for your credit score. Asking to raise your credit limit flags you as a debt risk, which may reflect on your credit report. "It's better to pay down the nickel-and-dime amounts." Go through your wallet and take a look at all the credit cards in there. Do you know what the balance is on each of them? You may think that putting $20 on this card and $50 on that card can help by keeping your respective credit usage rates low, but this isn't the case. In fact, your credit score takes into account how many accounts you have that are carrying balances. It's better to pay down the nickel-and-dime amounts on your cards and keep your credit spending to just one. 6. Develop a history of "good debt"
It's not that creditors want you to have no debt to your name, they just want to make sure that you're capable of paying it back. Having outstanding debt on your credit report can actually be a good thing if you can demonstrate that you consistently make your payments on time. In fact, if you're worried about your poor credit score hampering your ability to buy a car, don't fret. You can likely still get financed for a loan with poor credit, and making regular, on-time payments toward your car will do quite a bit to bring your score back up. For more information on how finding the perfect used vehicle can help you recover your credit score and to find the car that's right for you, head to New Jersey State Auto Auction. 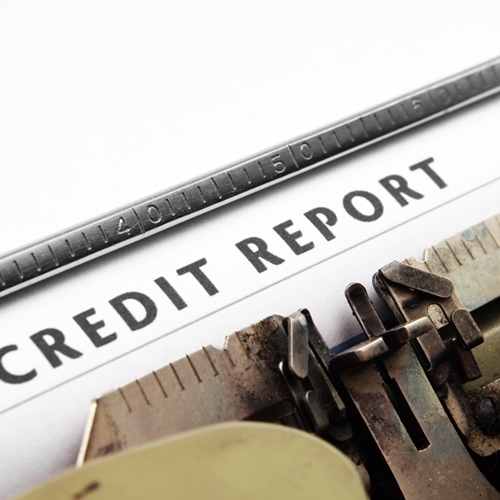 For many people, the credit check can be the most frightening part of purchasing a car. If your credit score is poor, you may worry about your ability to receive the necessary financing to buy a vehicle. Luckily, this isn't the case. In fact, taking on a car payment can do wonders to improve your credit score. Here's a quick look at the good and the bad of credit scores, and how you can boost yours. Understanding how credit scores work is the first step toward recovery. If you're embarrassed about your low credit score, don't fret – you're in good company. More than half of Americans – 56 percent – sport a credit score that is sub-prime, or below 640. Considering it can take between seven and 10 years to recover from a poor credit score, that may seem like an overwhelming figure. Unfortunately, in many cases, people turn to other financial products to recover their credit scores, such as high-interest credit cards or secured cards. While they can help you slowly build your credit, it's easy to get locked into a debt cycle and end up owing even more. But just because your credit score low doesn't mean new purchases are out of the question. Due to flexible financing options, nearly everyone can be approved for a car loan. Not only can you qualify for financing, but making regular, on-time payments toward your vehicle can boost your credit score and limit the recovery time. Keep in mind that the average down payment for a car is between 10 and 20 percent, so you'll need to have some money saved up first. If you're ready to dig your way out of bad credit, congratulations! Just prepare yourself to answer some difficult questions. Be ready to offer information on how much you currently owe, as well as your history of repayment, including information on late payments. Simply put, buying a car is an investment. Aside from the up-front cost of the car itself, you should expect to spend money on keeping your car running smoothly and safely so you can maximize its life as much as possible. But cars are also incredibly complicated machines. With so many moving parts, it only makes sense that things will break down every now and then. Even cars from the most reliable manufacturers need a mechanic's TLC every now and then. While there's a seemingly endless number of components that could potentially break down in any given car, the good news is that most repair jobs tend to be pretty predictable. 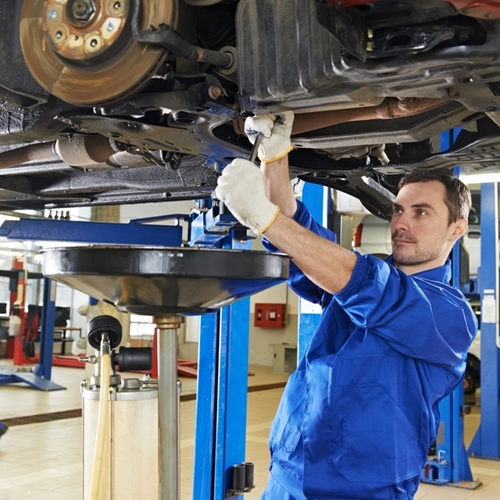 Here are three of the more common car repairs. Changing your oil is simple, but essential. Oil changes are the most common and well-known maintenance task, even for drivers who have no idea how a car works under the hood. This is because oil changes are both simple and regular – it's a task you need to be on top of, and they're easy enough that you can do them yourself. That's right – you don't need to shell out any money to get your oil changed, this is one maintenance task you can do all on your own. Just be sure to check your car's owner's manual to see how often you should change up your oil. One final note: Just be sure you stay current with your oil changes. According to the All Pro Service Center in Des Moines, Iowa, failure to change your oil can result in your engine overheating much faster and can even warp some of the components inside, resulting in hugely expensive or even irreparable damage to the engine. Sure, you may know how to change a tire on the side of the road, but we're not talking about a temporary replacement until you can get to a service center. You likely don't think about your tires too often, but believe it or not, they may be the most frequent reason you head to the mechanic's shop. According to Cheat Sheet, a set of tires tends to last between two and four years. Considering it's not uncommon to keep the same car for close to 10 years, that means you'll likely go through the process of replacing them multiple times during the life of your car. Considering it can cost between $400 and $600 to swap out a full set of four, that's a significant expense. Fortunately, you can help extend the life of your tires by regularly monitoring their air pressure and tread. Doing so will greatly improve their effectiveness and reduce wear and tear as much as possible. "Brake pads typically need to be changed every 40,000 miles." Brakes are such an important safety feature of your car that multiple Hollywood movies create suspense by putting plucky protagonists in vehicles with insidiously snipped brake lines. The good news is you likely won't have to worry about your brake lines – unless you're an international spy or something similar – but you'll most likely have to replace your brake pads at some point during your ownership. According to WyoTech college in Laramie, Wyoming, brake pads typically need to be changed every 40,000 miles or so. While replacing the brake pads is a fairly simple and inexpensive process, if you also need to replace the disk, drum or rotor component of your brakes, you may be looking at a much higher expense. Mitigate these maintenance costs by addressing any brake-related repair issues immediately, before they can get worse.